This pendant was made from spalted almond wood found in an old river bed about 10km from the village of Cádiar, Spain. It was hand carved and then painted with acrylics. It was then coated with several layers of satin varnish for protection. 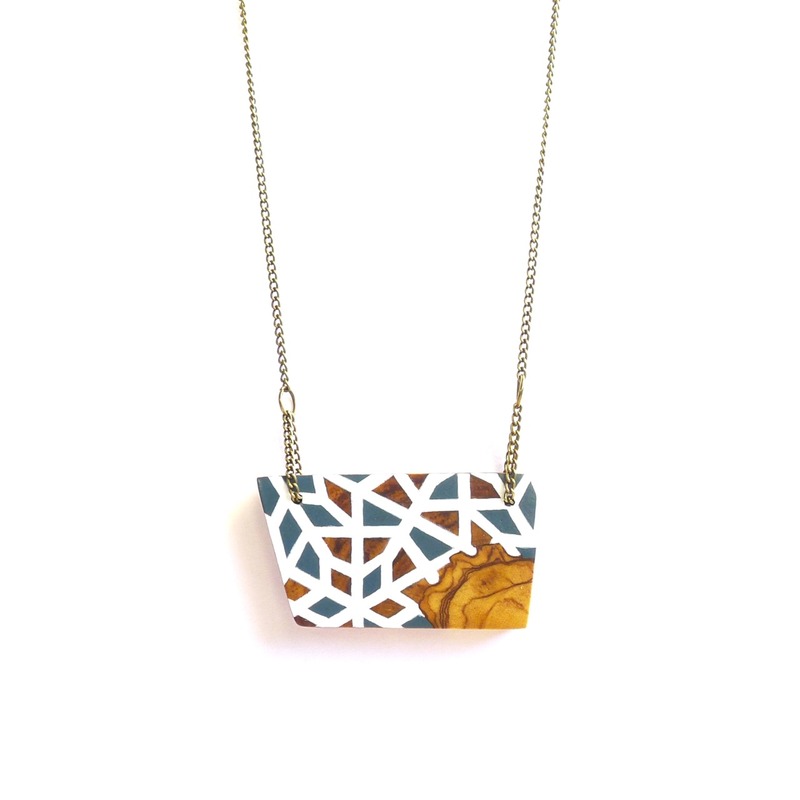 This pendant is part of the Wooden Geometric collection and was inspired by living in the Alpujarra de la Sierra, an area nestled in between the Sierra Nevada and the Mediterranean. The design is based on geometric patterns used in Moorish architecture and hints at the splendour of such buildings as the Alhambra palace (1338-1390) in Granada, Andalucia.